How to Upgrade Your Stairs Without Paint! You may have seen a lot of other bloggers posting about their word of the year for 2018. I didn't choose my word of the year but I feel like it's chosen me and I'm running with it. What is that word, you ask? Git'rdun. Yes, I made it up. Most of the time you hear that as a phrase but I made it a word for the purposes of this post, haha! So, why is this my word? Well, because so far 2018 has been my year of getting it done! 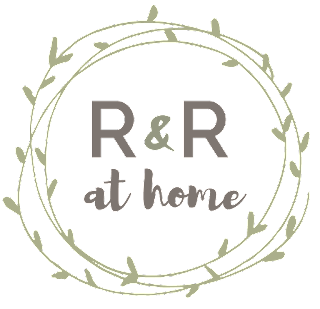 I have accomplished so much in just over a month including not one but TWO room makeovers and countless DIY's. I have completed so many projects that I've put off for one reason or another and adding these fun numbers to our stairs is one of them! 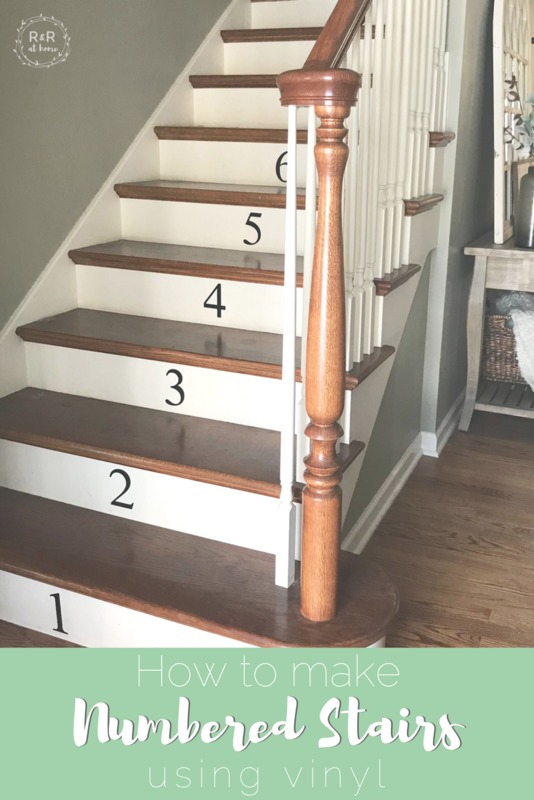 Ever since I saw this picture pop up on Instagram by one of my favorite bloggers Seeking Lavender Lane I knew I wanted to try this on our stairs. When I first approached the hubs with this idea he was less than thrilled. Probably because it involved paint and some amount of permanence. 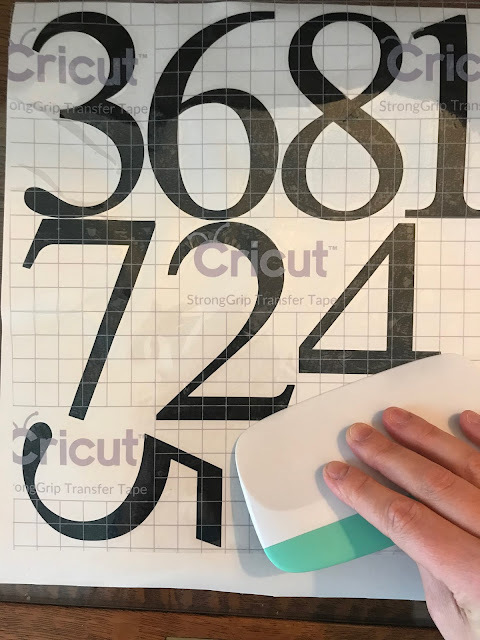 But since receiving my Cricut machine for Christmas I decided to use vinyl instead! This made hubs very happy! 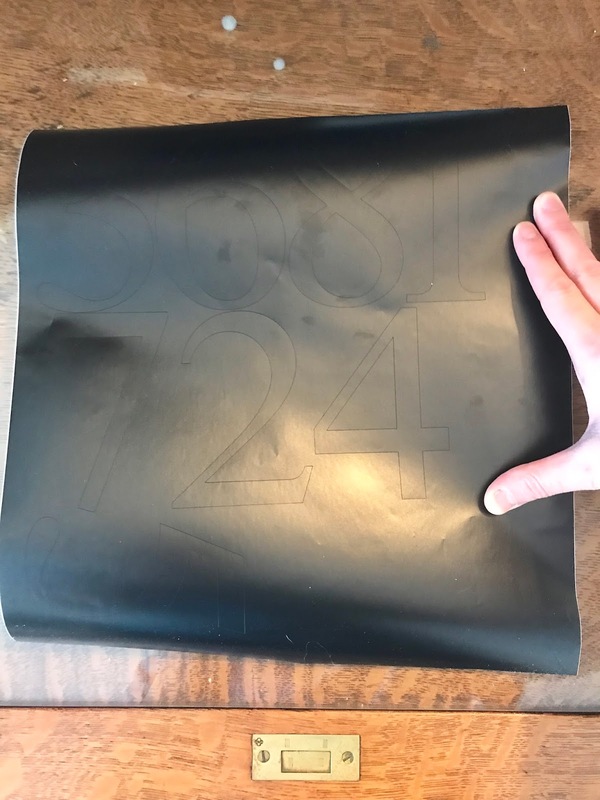 If you do not have a vinyl cutting machine you could definitely use stencils and black paint! Before I started, I measured the height of each stair to see how large I wanted each number. 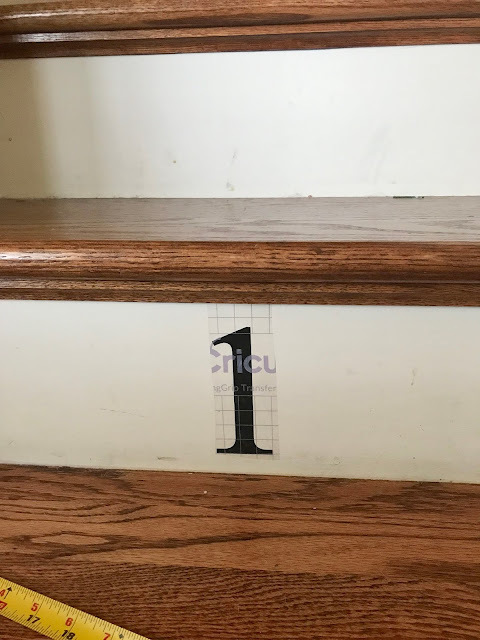 Once the stairs were measured I created the numbers in Cricut Design Space. I used Al Nile font in size 600. Once the cut was made I pulled back the vinyl to attach the Transfer Tape. 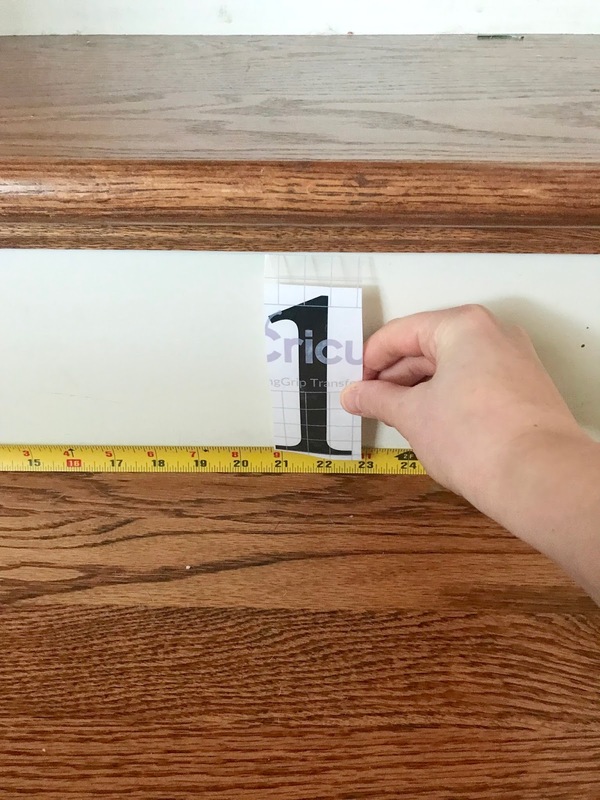 I then carefully cut out each number to prepare to apply to the stairs. 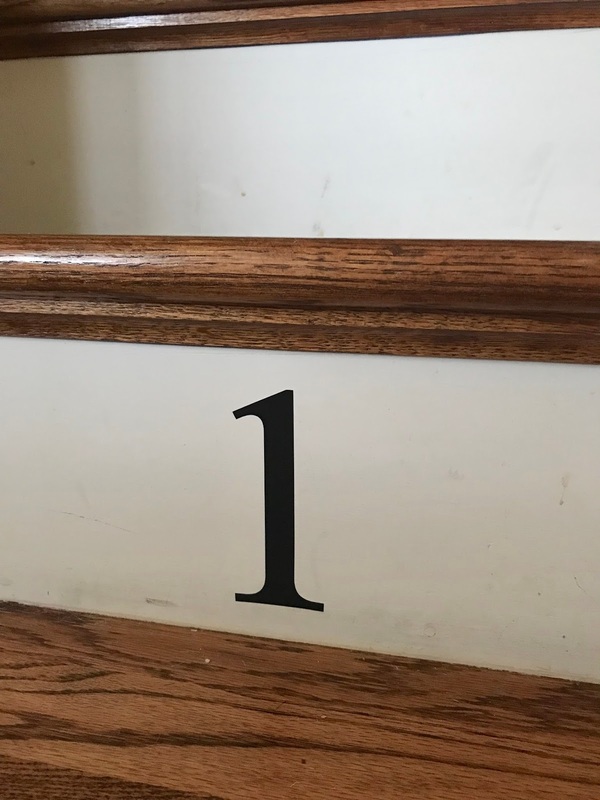 Once these numbers were cut out it was time to apply them to the stairs. 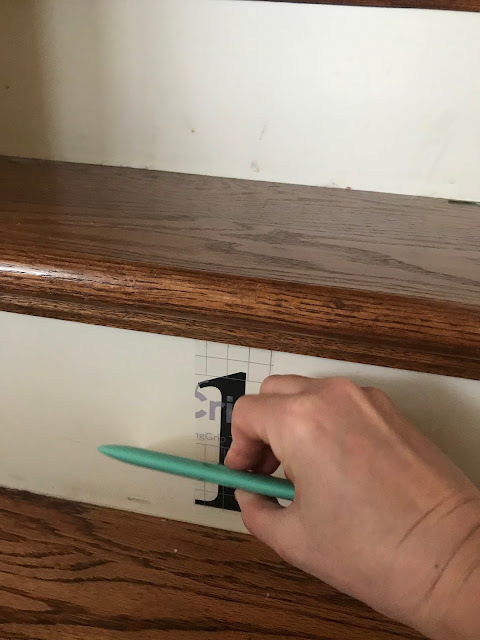 In order to ensure they lined up correctly I measured the length of each stair and divided that in half. 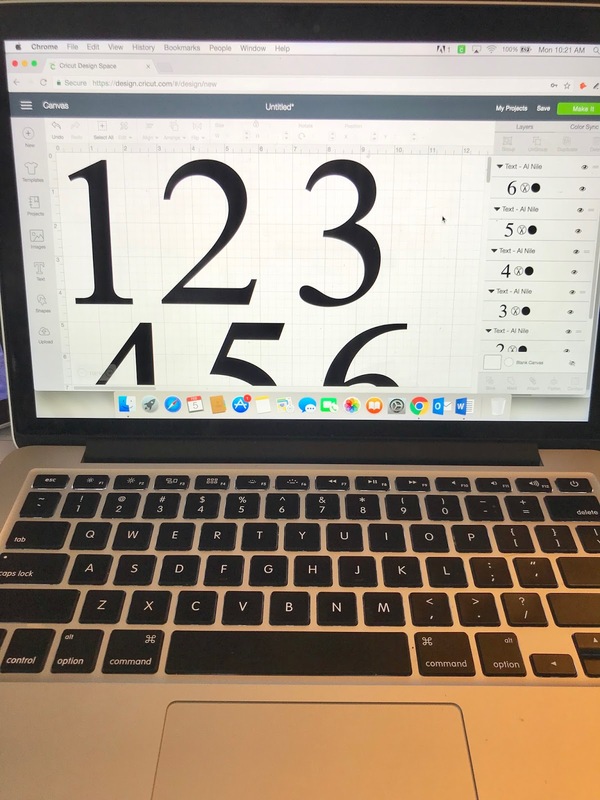 Once I had decided exactly where each number would go I started to apply the numbers. 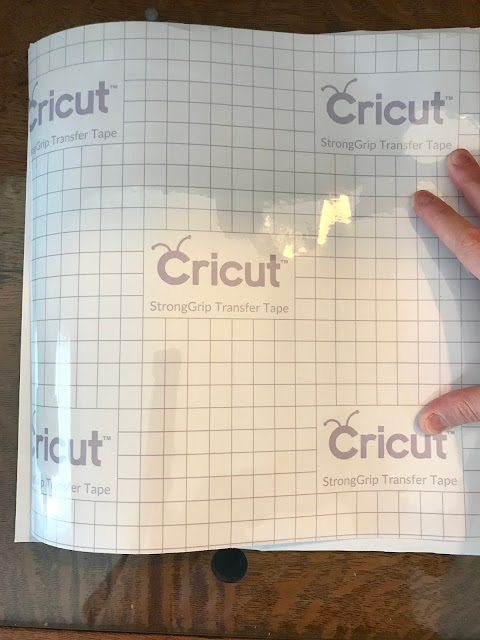 NOTE: I have not had great success with Cricut brand transfer tape. 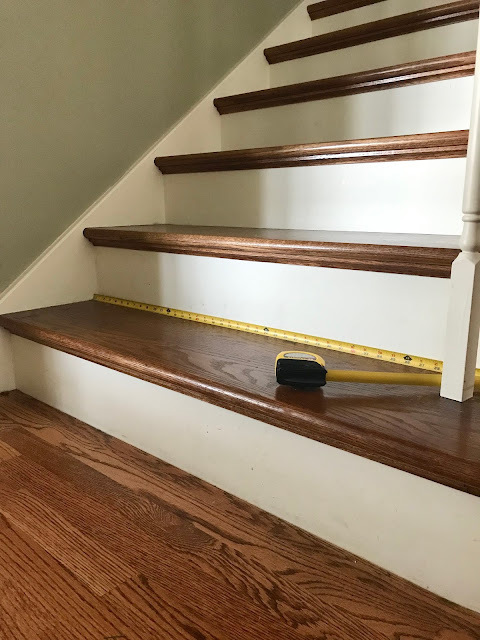 I could not get the vinyl to adhere to the stair. 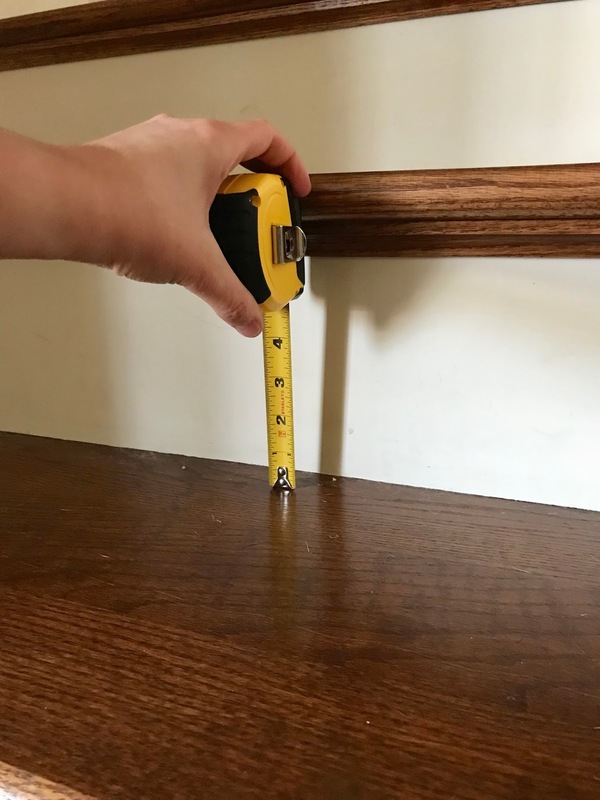 It would stick only to the tape. I resorted to contact paper which worked like a charm. 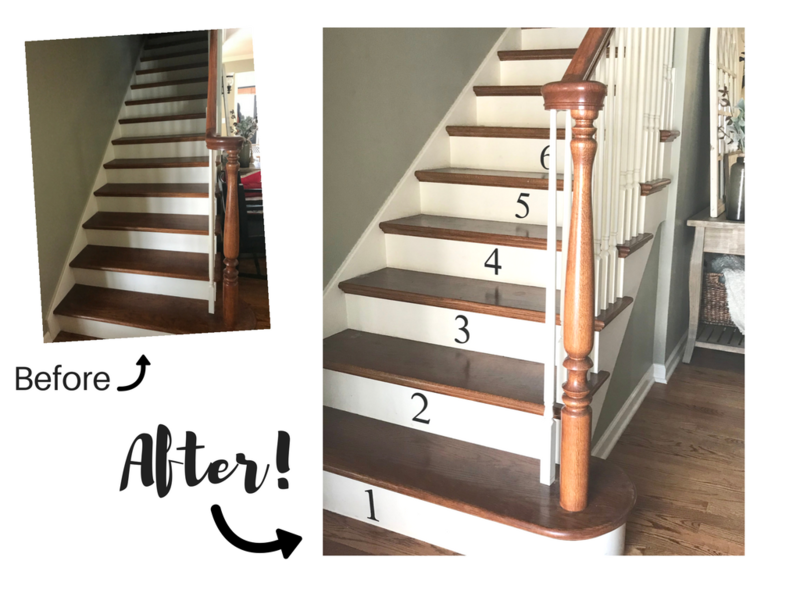 I then followed the same steps all the way up the stairs! 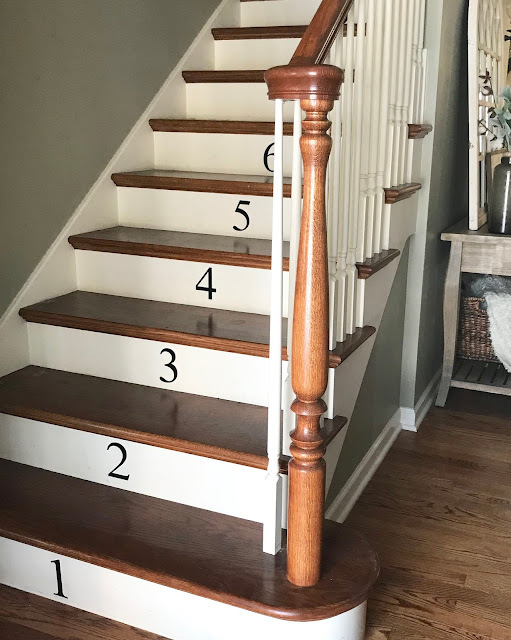 How have you added fun updates to your stairs? Share your projects with me in the comments below! 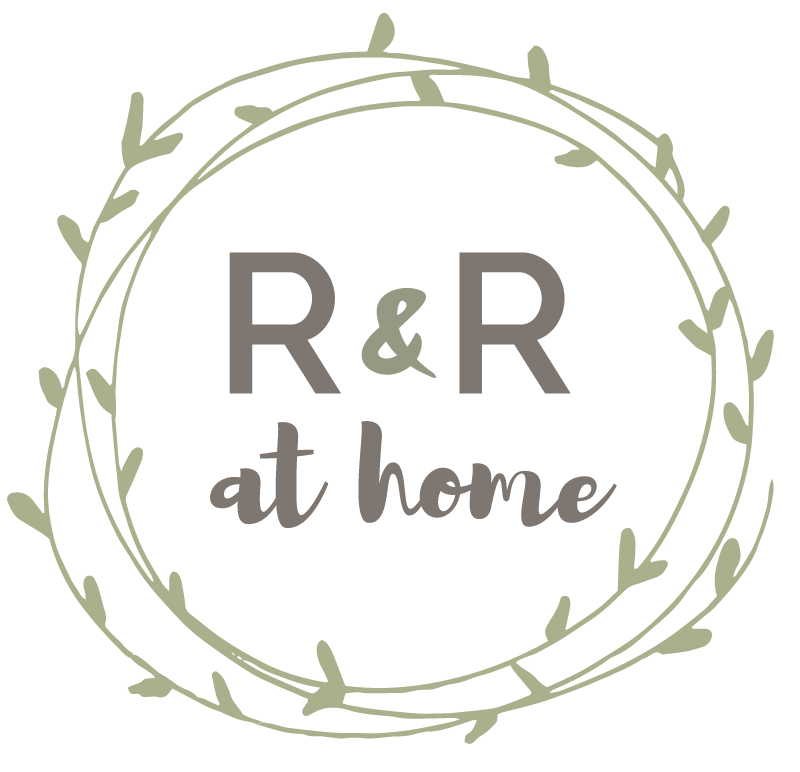 As always, Thank you for visiting R&R at home!